Vguard is one of the leader in electric segment and has instant recall in form of voltage stablisers. 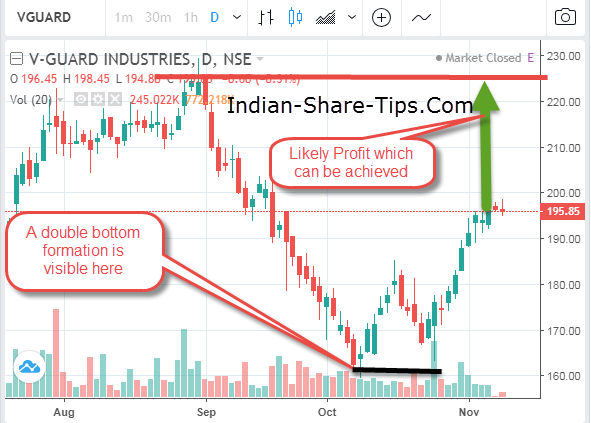 The company has entrenched itself in the segment and you can see the chart with detailed analysis to arrive at correct conclusion. The stock has broken a resistance level in the short term and given a positive signal for the short-term trading range. The stock has support at rupee 186 and resistance at rupee 210. The stock can target upto Rs 220 in medium term as shown here in the chart. You can check Vguard Live Chart here.